It is an islet at the entrance of Elounta bay. In antiquity there was a fortress of the Olounites. In 1579 the Venetians built a mighty fortress there, which remained under their rule even after the Ottoman occupation of Crete in 1669. During the last years of the Ottoman occupation, it was a safe refuge of Ottoman families. In 1903, by law of the Cretan government, it was appointed as the place of stay for the lepers of Crete. The 13th Ephorate of Byzantine Antiquities carried out restoration works in some of the old buildings. 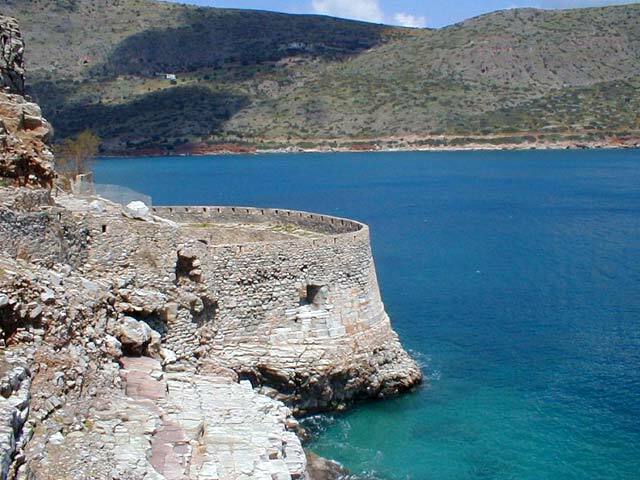 Today Spinalonga islet is one of the main attractions of the area and there are several daily trips from Agios Nikolaos with small boats and canoe.